We are talking here about the top unlocked android smartphones. So, without wasting time let’s begin! 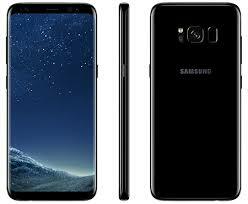 The Samsung Galaxy S8 is powered by 1.9 GHz octa-core Samsung Exynos 8895 processor, 64GB of internal storage which is expandable up-to 128GB, 4GB RAM and a 3000mAh non-removable battery. The smartphone packs a 12 MP, f/1.7 primary camera and a 8 MP, f/1.7 secondary camera for selfies. The connectivity options include 3G & 4G, Wi-Fi, Bluetooth, GPS, NFC. Coming to the dimensions, it measures 5.8 inches (1440 x 2960 pixels) and weights 155 g protected by Corning Gorilla Glass 5 and runs on Android 7.0 (Nougat). Now let’s look at the pricing, which starts from Rs. 57,000 and is available in Midnight Black, Orchid Gray, Arctic Silver, Coral Blue, Maple Gold color variants. 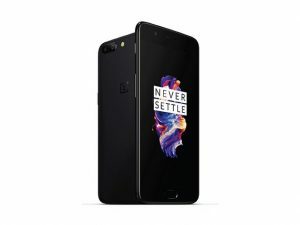 The OnePlus 5 is powered by Qualcomm MSM8998 Snapdragon 835 quad-core processor,64 GB, 6 GB RAM or 128 GB, 8 GB RAM variants and a 3300mAh non-removable battery. The smartphone packs a Dual 16 MP, f/1.7 + 20 MP, f/2.6 primary camera and 16 MP, f/2.0 secondary camera for selfies. The connectivity options include 3G & 4G, Wi-Fi, Bluetooth, GPS, NFC, USB OTG. Coming to the dimensions, it measures 5.5 inches (1080 x 1920 pixels) and weights 153 g protected by Corning Gorilla Glass 5 and runs on Android 7.1.1 (Nougat). Now let’s look at the pricing, which starts from Rs.32,999 and is available in Midnight Black, Slate Gray color variants. 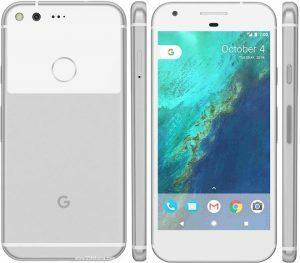 The Google Pixel is powered by Qualcomm MSM8996 Snapdragon 821 quad-core processor, 32/128 GB, 4 GB RAM variants and a 2770mAh non-removable battery. The smartphone packs a 12.3 MP, f/2.0,1/2.3″ sensor size primary camera and 8 MP, f/2.4, 1/3.2″ sensor size secondary camera for selfies. Coming to the dimensions, it measures 5.0 inches (1080 x 1920 pixels) and weights 153 g protected by Corning Gorilla Glass 4 and runs on Android 7.1 (Nougat). Now let’s look at the pricing, which starts from Rs.43,200 and is available in Quite Black, Very Silver, Really Blue color variants. 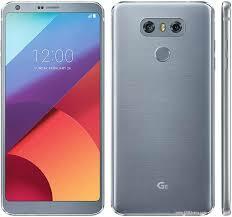 The LG G6 is powered by Qualcomm MSM8996 Snapdragon 821 quad-core processor, 32/64/128 GB, 4 GB RAM variants expandable up-to 256 GB via microSD and a 3300mAh non-removable battery. The smartphone packs a Dual 13 MP (f/1.8) + 13 MP (f/2.4, no AF) primary camera and 5 MP, f/2.2 secondary camera for selfies. Coming to the dimensions, it measures 5.7 inches (1440 x 2880 pixels) and weights 163 g protected by Corning Gorilla Glass 3 and runs on Android 7.0 (Nougat). Now let’s look at the pricing, which starts from Rs.38,788 and is available in Mystic white, Astro Black, Ice Platinum, Terra Gold, Marine Blue color variants. 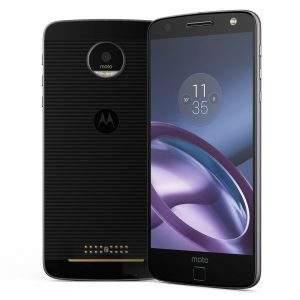 The Moto Z is powered by Qualcomm MSM8996 Snapdragon 820 quad-core processor, 32/64 GB, 4 GB RAM variants expandable up-to 256 GB via micro-SD card and a 2600mAh non-removable battery. It packs a 13 MP, f/1.8 primary camera and 5 MP, f/2.2 secondary camera for selfies. Now let’s look at the pricing, which starts from Rs.29,999 and is available in Black/Gray, Black/Rose Gold, Black/Gold, White color variants. 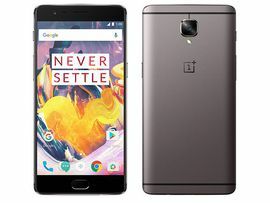 The OnePlus 3T is powered by Qualcomm MSM8996 Snapdragon 821 quad-core processor, 64/128 GB, 6 GB RAM and a 3400mAh non-removable battery. It packs a 16 MP, f/2.0 primary camera and 16 MP, f/2.0 secondary camera for selfies. Now let’s look at the pricing, which starts from Rs.27,999 and is available in Gunmetal, Soft Gold, Midnight Black color variants. 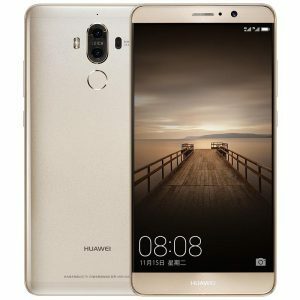 The Huawei Mate 9 is powered by Hisilicon Kirin 960 octa-core processor, 64 GB, 4 GB RAM which can be expanded up-to 256GB via a micro-SD card and a 4000mAh non-removable battery. It packs a Dual 20 MP + 12 MP, f/2.2 primary camera and 8 MP, f/1.9 secondary camera for selfies. Now let’s look at the pricing, which starts from Rs.64,900 and is available in Agate Red, Topaz Blue, Space Gray, Moonlight Silver, Champagne Gold, Mocha Brown, Ceramic White, Black, Obsidian Black color variants. 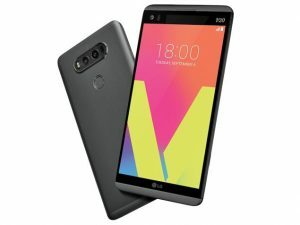 The LG V20 is powered by Qualcomm MSM8996 Snapdragon 820 quad-core processor, 32/64 GB, 4 GB RAM which can be expanded up-to 256GB via a micro-SD card and a 3200mAh removable battery. It packs a Dual 16 MP (29 mm, f/1.8) + 8 MP (12 mm, f/2.4) primary camera and 5 MP, f/1.9 secondary camera for selfies. The connectivity options include 3G & 4G, Wi-Fi, Bluetooth, GPS, NFC, USB OTG, Infrared. Now let’s look at the pricing, which starts from Rs.29,990 and is available in Titan, Silver, Pink color variants. 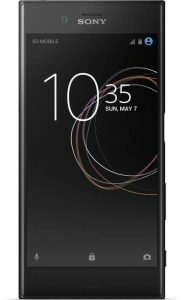 The Sony Xperia XZs is powered by Qualcomm MSM8996 Snapdragon 820 quad-core processor, 32 GB, 4 GB RAM & 64 GB, 4 GB RAM which can be expanded up-to 256GB via a micro-SD card and a 2900mAh non-removable battery. It packs a 19 MP, f/2.0 primary camera and 13 MP, f/2.0 secondary camera for selfies. Now let’s look at the pricing, which starts from Rs.48,000 and is available in Black, Warm Silver, Ice Blue color variants. 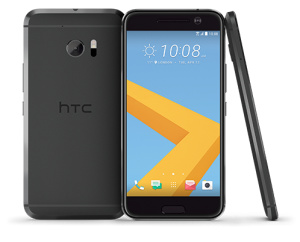 The HTC 10 is powered by Qualcomm MSM8996 Snapdragon 820 quad-core processor, 32 GB, 4 GB RAM & 64 GB, 4 GB RAM which can be expanded up-to 256GB via a micro-SD card and a 3000mAh non-removable battery. It packs a 12 MP, f/1.8 primary camera and 5 MP, f/1.8 secondary camera for selfies. Coming to the dimensions, it measures 5.2 inches (1440 x 2560 pixels) and weights 161 g protected by Corning Gorilla Glass 3 and runs on Android 6.0.1 (Marshmallow), up-gradable to 7.0 (Nougat). Now let’s look at the pricing, which starts from Rs.34,999 and is available in Carbon Gray, Topaz Gold, Glacier Silver, Camellia Red color variants.